So in a beaten state, when we were crawling and hungry for music, we transitioned into the Paid Digital Age. Many flocked to iTunes because it was the only gateway to the their beloved iPods. Some decided to stream random songs related to their favorite artist/song/genre via Pandora. But whatever we tried we were left separated from the God of Music. Our music souls were restless. 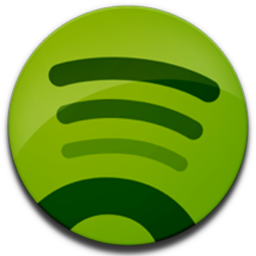 But our yearnings have been answered, Spotify was sent to us by the Swedes. Unlimited access to more than 15 million songs. I have found every song I was looking for. Twice as much quality as iTunes songs, 320 kbps vs 128 kbps. You can cache songs in your mobile device, meaning you do not have to stream them, they will always be there (a.k.a. as long as you have a Spotify account). My only gripe about Spotify is that you have to log in with a Facebook account. So I had to use my fiance's account to log in. But that is a minor tarnish. For those of you that love music, Spotify is the way to go. I would like to give thanks to Bryan and Zhi for introducing me to this new service.